Mitsuhisa Kato: "We will make a comprehensive new start." TOYOTA CITY -- Toyota Motor Corp., which made "lean manufacturing" a global buzzword, is about to unleash a new wave of ultraefficient assembly plants. The streamlining -- which will slash capital investment costs, lead times and even the overall size of future factories -- will underpin a new generation of modularized product platforms. The world's biggest automaker said it will shift half its global lineup to the new lower cost platforms by 2020. But first it needs to upgrade its factories. "We will make a comprehensive new start," said Mitsuhisa Kato, executive vice president in charge of r&d. The massive overhaul is part of President Akio Toyoda's push to, in his oft-repeated phrase, make "ever-better cars." The shared-platform plan, which groups families of vehicles for production and development, was unveiled in broad terms in 2012. But until now the company has largely been mum on how it will cut costs and boost efficiencies in producing those cars. The manufacturing update comes as Toyota ponders building its first passenger-vehicle plant in Mexico after a three-year moratorium on new factories. The enhanced production techniques will propel Toyota's continued growth in a new era in which the carmaker's annual sales exceed a massive 10 million units. Halve the capital investment needed to prepare a new production line, compared with levels in 2008 during the financial crisis. Slash the investment needed to build a new plant 40 percent by switching to "simple and slim" lines. Make future plants 25 percent smaller so they will use less raw material and energy while being more flexible. "No matter what product comes [down the line], we can process it in the same way," said Hirofumi Muta, senior managing officer for production engineering. "The burden on the operators is reduced, and we can improve efficiencies." Key to the plan is the adoption of demand-responsive lines that can be shortened or extended, like toy-train tracks, in a matter of hours rather than days to adjust to changing demand. Assembly equipment and machinery sit on rollers so the line can be rapidly reconfigured as needed. Conventional line machines are rooted in floor pits or fixed to the ceiling. The new approach, first introduced in 2010, will be used in every new factory. That change helps reduce factory investment by 40 percent, Toyota said. In addition, a new paint line is 20 percent shorter and 40 percent more compact. It replaces four paint robots with just two employing adjustable paint nozzles that are more efficient. The new line slashes investment costs 40 percent and uses 41 percent less energy. The first new paint shop goes into operation in April at Toyota's Tsutsumi assembly plant in Toyota City. Toyota has also developed a new type of laser welding that is faster and more efficient than traditional spot welding. By using a concentrated beam of light, instead of a hot electrode, the so-called laser screw welding can seal three welds in less than 1 second, compared with more than 2 seconds the old way. The faster welding lines are also half as long as previous ones. What's more, the laser spot welds can be used on both steel and aluminum whereas older spot welders could do one or the other. Toyota began using laser screw welding in 2013 in the Lexus IS sedan but has since expanded its use across the Lexus lineup. At the briefing, Toyota engineers showed a host of other manufacturing processes that are more compact and faster. They include a one-by-one bumper production process that feeds bumpers directly into a painting unit, thereby eliminating the need for wasteful inventory space. Also on tap is a more compact and less costly hot-stamping process, a smaller interior trim molding machine and a new adhesive application robot. Kato said the manufacturing upgrades will require new investments, but he declined to put a dollar figure on them. Executives added that new investments will be on average lower than similar capital outlays made before the financial crisis. "Toyota does not make wholesale changes all at once. They have been working on this for years. But this should simplify manufacturing and assembly and the supply chain by reducing variation." "It sounds like a wholesale reorganization of how they make cars," said Chris Richter, an auto analyst with CLSA Ltd. "There's going to be a substantial price tag attached, but once they get there it'll save lots of money." 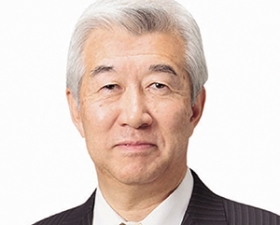 President Toyoda is banking on the overhauled manufacturing and r&d strategy to kick the company his grandfather founded into growth mode after halting capacity expansions for three years. Toyota follows a host of rivals, including Volkswagen AG and Nissan Motor Corp., in rolling out modular product-development plans. Kato said the first cars based on the Toyota New Global Architecture, or TNGA, will be C-segment front-wheel-drive models debuting later this year. That family of cars includes the Toyota Prius and Corolla and the Lexus CT.
Kato declined to identify the nameplates, but the Prius is expected to be the lead-off vehicle. By 2020, the TNGA rollout will cover half the cars Toyota builds, he added. A full rollout could take much longer. "Toyota does not make wholesale changes all at once. They have been working on this for years," said Jeffrey Liker, a longtime Toyota watcher who documented much of its corporate culture in The Toyota Way book series. "But this should simplify manufacturing and assembly and the supply chain by reducing variation." The shift in the company's approach to product development represents the biggest operating change of Toyoda's tenure, which was marred initially by the global financial crisis, the company's worldwide recall fiasco, the 2011 earthquake in Japan and the yen's soaring exchange rate. The goal of the push for common platforms and new manufacturing methods is to cut costs and improve the appeal of the vehicles through streamlined engineering. Kato said savings in time and money will be plowed back into new technologies, better manufacturing processes, slicker designs and more attention to detail and quality. "The aim is not just cost reduction. It is making better cars," he said. Yet global standardization of parts and platforms can also create huge headaches when things go wrong. No company is more aware of this than Toyota, which has been hit by multiple large-scale recalls in recent years. But Toyota says that simplifying the design and using fewer variations means more resources can go into developing better designs with less chance of defects. Toyota's lineup has inflated to some 100 model platforms and 800 engine types, resulting in unnecessary complexity, Kato noted. "Such increases," he said, "have made it difficult to make each individual model ever better."